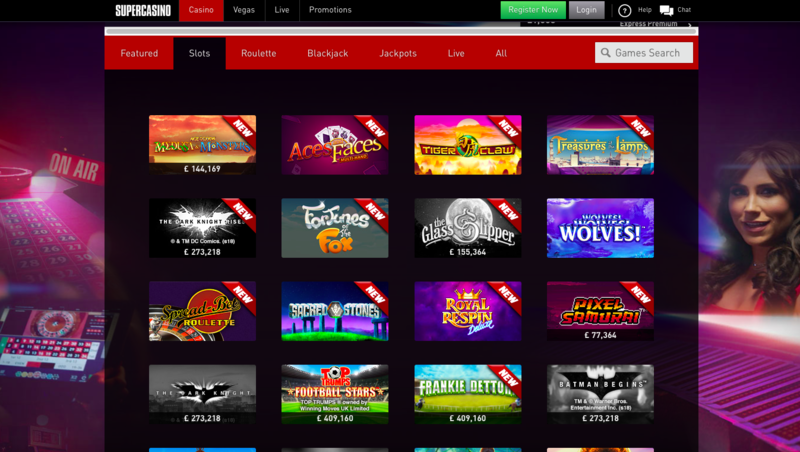 Super Casino offers a full Playtech casino on their sites as well, so you’ve got a giant entertainment package that very few other online casinos can match. Choose from branded classics like Gladiator, The Pink Panther, The Mummy or a choice of around ten different games from the recent series of blockbuster Marvel films; if that doesn’t float your boat then Playtech’s burgeoning progressive jackpot collection should do the trick, with classics like Beach Party, Cinerama, Queen of the Pyramids and Diamond Valley all offering the chance to win life-saving amounts of cash if you get lucky. You’ll also find a full complement of virtual table games here as well: There’s more roulette if you want it, along with some unusual games that you won’t always find elsewhere: Playtech’s virtual Craps table is still the best on the market, and they’re got some unique games like Stravaganza on offer, alongside some interesting Asian contributions like Sic Bo and Mah Jong. Supercasino sources its game selection exclusively from Playtech. You’re given every opportunity to check out the games before you play - be they virtual or real. 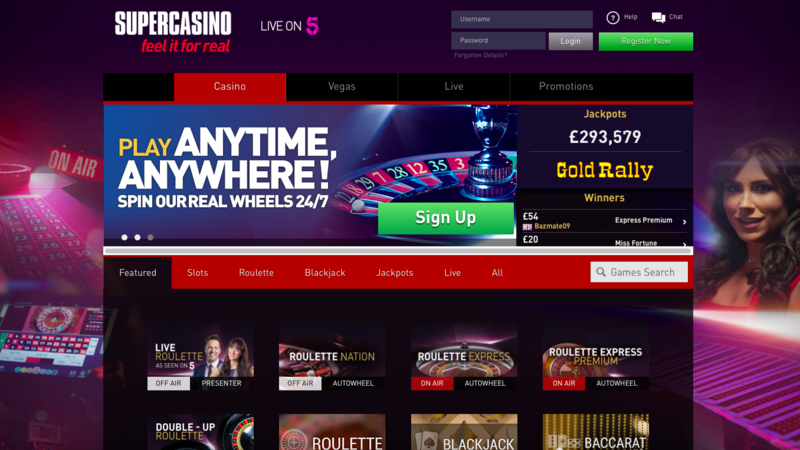 Supercasino is a major UK brand and their site oozes trustworthiness from the landing page onwards. This outfit simply have too much to lose by even thinking about ripping you off, and the site reflects this approach with a solid, gimmick-free styling that’ll entice rather than seduce you into playing. You’ll be invited to Supercasino’s VIP club at their discretion, and once you’re through the door you’ll be given extra loyalty points to convert to cash, cashback, special gifts and bonuses – plus access to their exclusive VIP management team. Supercasino accept Visa (debit, credit or Electron), PayPal, Mastercard, Delta, Entropay, Instadebit, UKash, Skrill and Neteller.